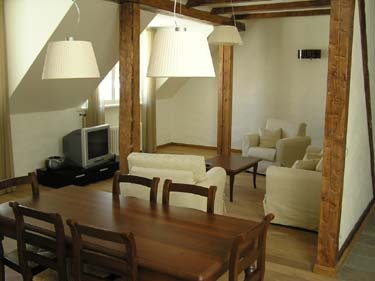 Tallinn Holiday Apartments, Holiday Apartments, Vacation Apartments, Holiday Apartments Rentals, Vacation Rentals, London Apartments, vacation rentals, vacation homes in Italy, Spain, Greece, Belgium and more. RED Group Apartments - Your Home in Tallinn! Your Home in Tallinn! RED Group is one of the most experienced companies offering accommodation in serviced apartments in Tallinn and P�rnu in Estonia. Our clients can choose between 38 fully furnished and equipped studio, 1- and 2-bedroom vacation apartments in the Old Town and centre of Tallinn and P�rnu. Good location makes our apartments excellent choice for both business and vacation travellers. We provide complimentary arrival and departure transfer service. Cleaning and change of bed linen/towels once a week is included in the price. Internet access either wireless or/and cable modem connection available in every apartment for free. Prices depend on the apartment, period of stay and number of people staying at the apartment. Price range 50-270 EUR/night. Please ask for an offer!